Sometimes you need to strip things down and get back to your natural state. 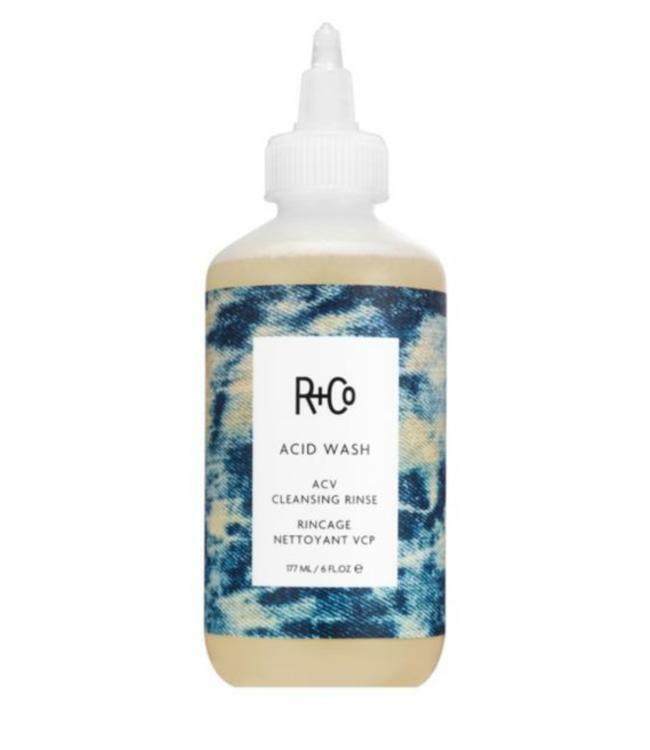 After days of dry shampoo layers and styling products, ACID WASH is perfect to cleanse without stripping away natural oils or colour. It softens the hair, calms the scalp, and adds dramatic shine. How To Use It: Wet hair. Using the bottle tip, gently squeeze the Apple Cider Vinegar Cleansing Rinse directly onto scalp. Massage into hair and scalp and leave in 1-3 minutes. Rinse thoroughly. Can also be used as a substitute for shampoo, or for conditioner for co-wash users.